We are delighted to welcome Grietje Sprot back to the festival after they made such an impression last year. 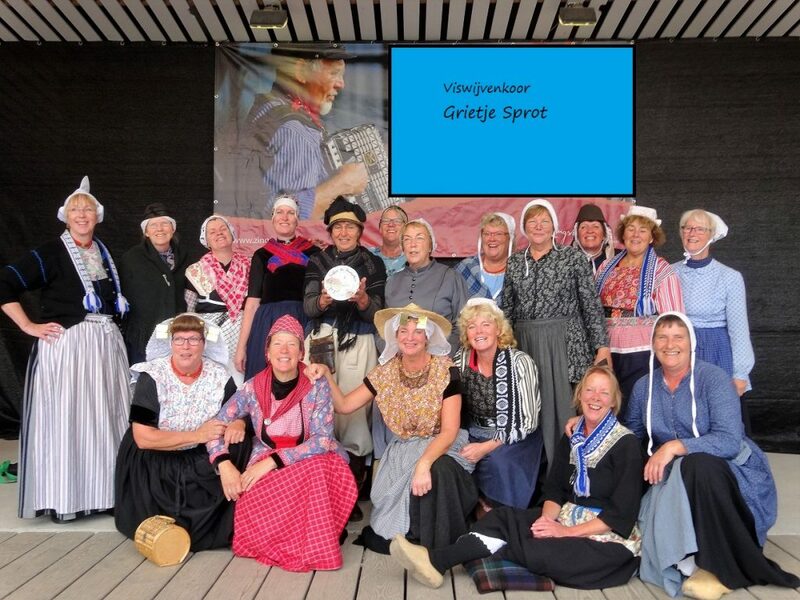 Coming from Hindeloopen, an ancient harbour town in Friesland, Netherlands, members of this group all love fish and all love singing and so became Grietje Sprot, the Fishwives Choir. They always perform in their distinctive traditional costumes, typical of Dutch fishwives of the 1920s. Their repertoire includes ballads and songs in Friesian and Dutch, all about fish, the sea, sailors, love and tragedy.